Sales Assist brings consumer research and product information to the sales floor. The app helps sales associates keep up with consumer research and product information. It provides each customer a personalized, better-connected in-store experience. 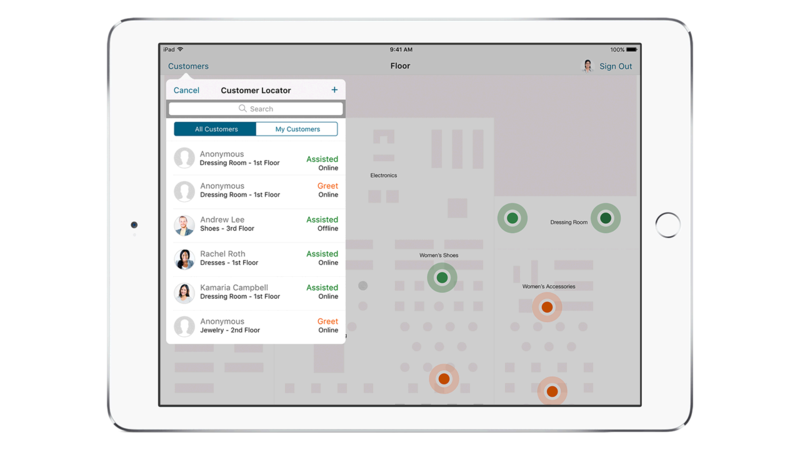 The app allows retail associates to cover more sales through this integrated, personalized approach. Associates can access customer profiles, purchase history and current selections giving unprecedented insights into the customer’s buying habits. Sales Assist makes any sales associate a personal shopper for any customer who walks in the store. Access customer profiles, previous purchases and current selections to get an unprecedented view into each customer’s preferences. The app allows you to cater to the needs of any customer. Give customers suggestions based on previous purchases. Offer accessories to complement a look or recommend substitutions based on available store inventory. If an item is out of stock, Sales Assist can quickly locate it, confirm shipping on the spot or hold at another location. This significantly increases customer satisfaction and results in more sales.